Mermaid Wedding Dresses are quite popular among brides. This kind of bridal dress draws attention to the bust, waist, and hips. 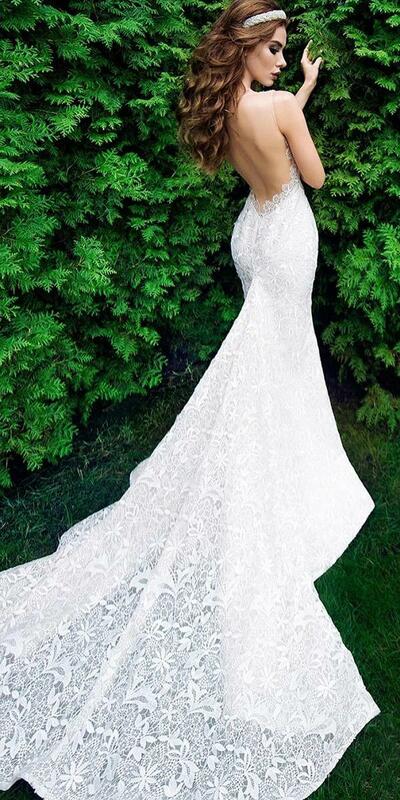 For brides, who have great curves, the mermaid dress style will be stunning on them. You will find the diversity mermaid silhouettes in this selection. From the most simple gowns to the most complicated outfits. See ideas below and find your favorite style.